In this one-day course we will look at the key areas you need to tackle in order to manage and master your team to greater effectiveness and efficiency. You will learn the tools and techniques to develop your team and grow their potential by understanding the coaching and mentoring process. As we know, communication is crucial so we will take time to identify your communication style, barriers you need to overcome and other ways to increase your influence. As you understand how to better master your leadership, you will see how to impact your team so they are motivated for the right reasons. 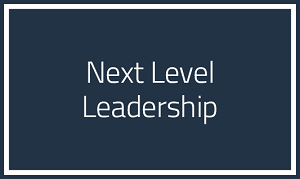 At the end of day you will walk away with a greater vision and knowledge of how to empower your team with the tools and techniques that make sense for your leadership gifting and your team’s unique strengths. Lastly, you will leave with specific actions step to immediately implement with your team for instant results.